* Event date is subject to change. Please confirm event details with the City of Dunwoody by visiting dunwoodyga.gov. This board is a decision making board, in that any appeal to their decisions shall be made to the Superior Court of DeKalb County. Their purpose is to decide on cases requesting variances to the zoning ordinance, sign ordinance, and the development and environmental ordinance. Further, the board hears cases requesting an appeal to a staff interpretation and/or decision on these same ordinances. The board hears applications on the first Thursday of each month. Agendas with staff reports and documentation are available approximately six days prior to the hearing. 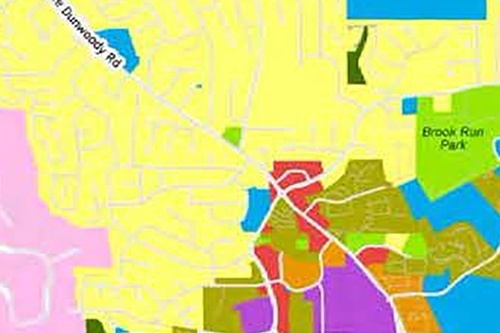 For more information regarding Planning and Zoning visit dunwoodyga.gov.